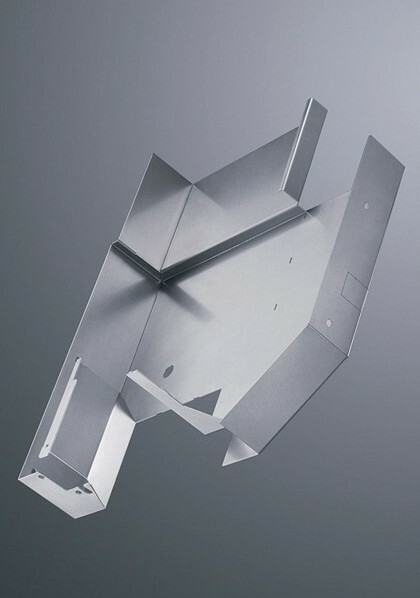 SHEET METAL | Suttatti Enterprises Pvt. Ltd.
We started Suttatti Enterprises Ltd. in 1996. This company was started with an intention to supply good quality sheet metal parts and ready to use assemblies. There was a shortage of good suppliers for quality sheet metal fabricators catering to the needs of Electronic and Electrical equipment manufacturers in India during those days. We setup a new facility measuring about 30,000 square feet of manufacturing space in 1996 and imported the best sheet metal processing machinery from Trumpf, Germany. We started off by importing one CNC 2D Laser Cutting machine, one CNC Punch Press and two CNC Press Brakes. A conveyorised Powder Coating facility along with a full fledged Welding shop was setup. We have been able to consistently expand year on year. Today we have 6 CNC Laser Cutting machines, 7 CNC Press Brakes, one CNC Punch Press and 2 Powder Coating Facilities. Our Welding facilities have been strengthened greatly by our Robotic Welding Cell and also by the many Modular Fixturing Tables. We have 3 facilities from which we operate and manufacture the sheet metal parts and assemblies. The total space available for our manufacturing activities is 90000 sq. ft. We have plans to add another 60000 sq. ft to the existing space in the near future. We manufacture sheet metal parts and assemblies for Air Compressors, Earth Moving machines, Image and video processing machines, Power Generators, Medical equipment, Architectural signages and furniture, Banking Kiosks and ATM’s and Machine Tool Guardings etc. About 65% of our products are for the export markets. Our customers are based in the USA, Belgium, Germany, Dubai and Far East Asia. We are also a recognized Export House. We employ about 250 highly skilled employees in our sheet metal facility. We believe in giving them training and keep them updated on the newest technologies and methods available. We have also setup a dedication 100% Export Oriented facility for our customer in USA who makes Turbochargers. Here we make a highly precision part used in the Turbocharger. We manufacture about 1500 parts on a daily basis for this customer.